Notes: Another Korean import in transparent orange vinyl found at the flea market. 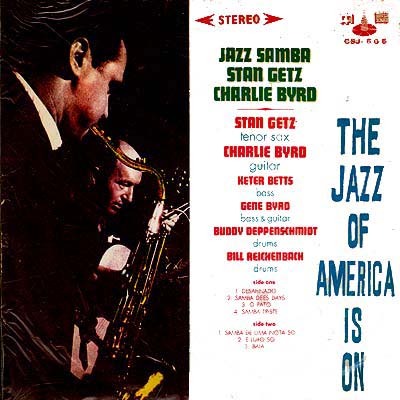 A nice pairing of Charlie Byrd's guitar and the flowing sax of Stan Getz. The feeling never leaves its Brazilian roots and this is a good thing for all. 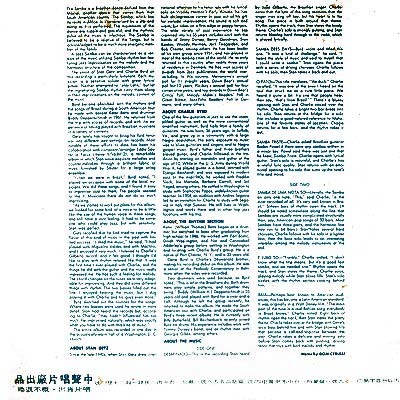 The cover, sealed in loose fitting clear plastic, has extensive liner notes and describes each piece of music in detail. Our heroes grace the cover shot playing in what appears to be perfect harmony. They sure love their colored vinyl over there and I love them for it.